In Oriental culture, the sharing of food has long been considered as a sacred duty. 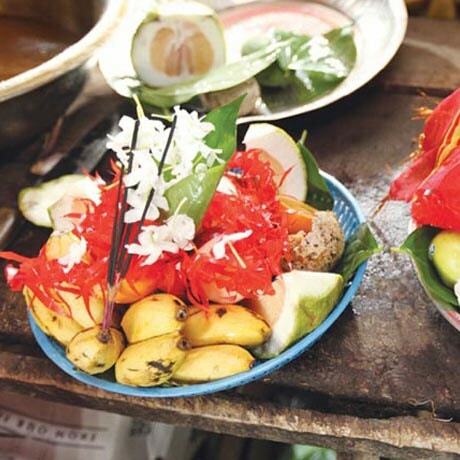 We offer cooked food to our ancestors, to the devas, to the Buddha and to monks, elders, pilgrims, as well as to family, friends, visitors, and to anyone who feels hunger, including animals. In Oriental tradition, no one should go to bed hungry; even animals and unseen beings should be offered food to ensure their happiness and good will. We offer food to gods and goddesses, among others.